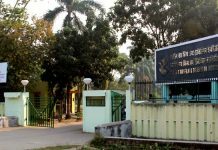 AFTER a gap of two years, the Convocation at Satyajit Ray Film and Television Institute got revived on 2 May 2017. This is the 7th Convocation, wherein the 10th batch of SRFTI students along with the 9th, have graduated. The 11th batch, too, has completed their projects, and three more batches are at different stages of their pursuits on the campus. Thus, SRFTI seems to be on course, although occasional snags in project programming ~ a typical malady in production-oriented film schools, globally ~ do upset the academic calendar once in a while. With increasing digitistion of the overall academic programming, we hope to streamline the calendar pretty soon. In sync with the growing trends of the time, over the past couple of years, SRFTI has added two new departments. Now, the Television Centre, offering courses in six disciplines, is just round the corner. Again, from mid-May, the extended campus at Itanagar in Arunachal Pradesh will become operational, initially, with a certificate course. SRFTI, thus, is on the threshold of significant expansion. This is in sharp contrast to the occasional bogey that gets raised about the privatisation of the two national film schools in India. The fact that these two National film schools in India have not, till date, faced any drastic shrinkage, owes a lot to the quasi-socialist economic model that India still follows, almost mandatorily. Given that, we must take a timely relook at our mandate ~ What kind of Cinema should the National schools be aspiring for? Traditionally, it has been observed, National film schools across the world, do try to champion what is known as Independent Cinema. These schools try to stand away from the mainstream industry, they refuse to get dictated by industry trends, and try to inculcate the independent spirit among its students. UCLA (University of California, Los Angeles), NYU (New York University), NFTS (National Film Television School), England, are the leading schools in this strand. In India, FTII and SRFTI have been duly moulded in this tradition. While it is a heartening fact that over the past two decades in India, film school grads have significantly contributed towards the sleek techno-packaging of even the mainstream Indian cinema, it is also necessary that we ask ourselves where our priorities lie. I would like to take this opportunity to appeal to all the stakeholders ~ biggest of them all are, of course, the past and present students ~ to engage and come to terms with this discourse, so that informed positions can emerge vis-a-vis the current structure, expansion plans, academic programming, pedagogic model, and the over-all vision of SRFTI’s journey. The fact that SRFTI, together with the extended campus in Arunachal, is probably now the biggest film school campus in the world should not make us complacent at all, until we put our best foot forward towards enriching and fulfilling our mandate for fostering the active praxis of meaningful cinema. While the mandates on these two national schools ~ FTII and SRFTI – are not fiercely vocal about Independent cinema, the schools themselves have developed an abiding culture of fuelling independent spirit among the students as future practitioners in the field. Next articleNaxalbari adivasi couple, who hosted lunch for Amit Shah, set to join Trinamool!